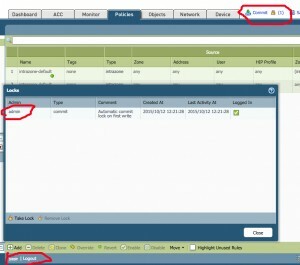 What is transaction lock feature in Palo Alto Networks Firewalls? Palo Alto Networks Firewalls can be administrated by multiple Administrators using WebUI access, it becomes quite challenging to see who is controlling the firewall and making either config changes or committing the changes done in Palo Alto Networks Firewalls. Using these two features a Palo Alto Network Firewall administrator can prevent configuration changes or commit operations by another administrator. Until the lock is removed another administrator cannot do any changes. 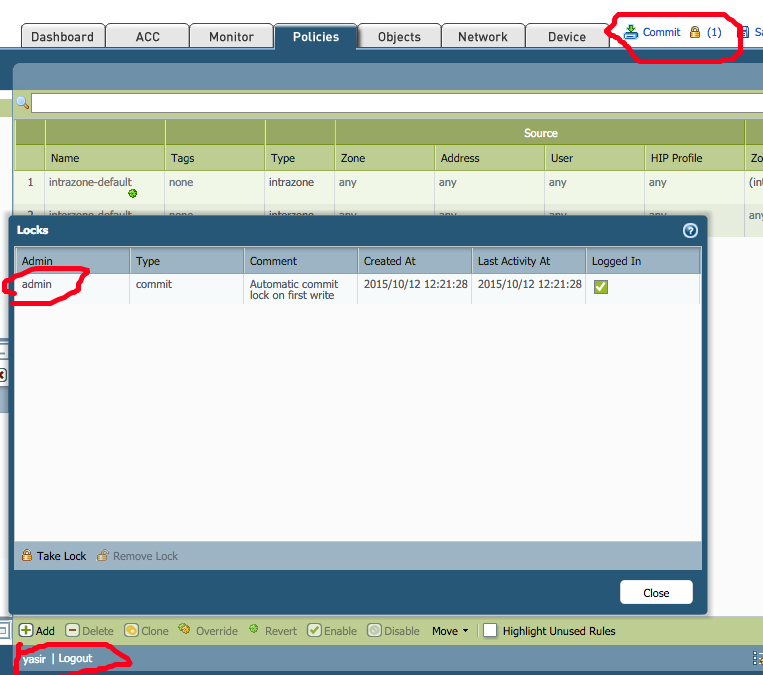 Config Lock – Basically blocks other administrators from making changes to the configuration of the Palo Alto Firewall. One should set Config Lock at the global level. Only the administrator who set this lock or a superadmin can remove Config Lock. Commit Lock – Basically block other administrators from committing any changes until all the locks have been released. By using this lock one can prevent any collisions occur when two administrators try to make changes to the Palo Alto Firewall at the same time. This lock releases automatically the moment the commit operation is completed by the administrator who started the commit activity first, or this can be release manually as well. From the below example its quite evident that the commit lock is held by the user admin and yasir is the user who has logged into the Palo Alto Firewall. Yasir cannot do any changes until admin completes his task. The only way to overcome this is either release the commit lock by admin or by the superadmin. This little feature is quite handy and ensures who have control over the Palo Alto Firewall and I recommend one should enable this feature to ensure no changes are done accidently by the other administrator.